TWO BED, TWO FULL BATH, FRESHLY PAINTED WITH NEW LIVING ROOM CARPET! 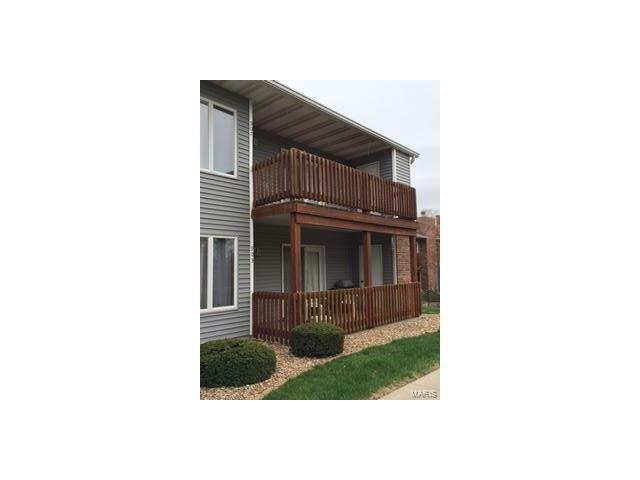 Secure second floor unit with open floor plan including vaulted skylight and wood burning fireplace. Master BR suite includes walk in closet and full bath, with a door opening to balcony. Eat in kitchen/dining area with wood floors and granite countertops. Main floor laundry with washer/dryer is conveniently located off of kitchen. This property overlooks the pool and tennis courts, which are currently undergoing renovations and will be brand new! Quiet area right in the middle of everything! Easy access to HWYs 70 and 364 and very near shopping. Home comes with a detached garage w/opener and storage area off of deck. HOA fees include water, sewer, trash, clubhouse and pool access, tennis courts, landscaping, snow removal, roof and deck maintenance. New roof and refinished deck 2017. Zumbehl to Hawks Nest Dr. to LEFT on Forest Gate to LEFT on King Dr. Unit faces pool and tennis courts.